Classic Swedish techniques relieve muscle soreness, increase circulation and induce a state of complete relaxation. Customized so you enjoy the bodywork that’s right for you. Relieve deep aches, pains and stiffness. Deep-tissue massage utilizes heavier but gradually applied pressures to reach into the belly of the muscle. Each massage is customized with pressures and techniques adapted to the needs and sensitivities of the individual. Enjoy luxurious relaxation and extra soft skin. Elegantly smooth and non-greasy, Jojoba oil is excellent for extra-dry, weather or sun damaged skin. Choose your favorite fragrance. The therapeutic effect of pure, essential Aromatherapy oils combine with the stress relieving techniques of massage for a calming and renewing effect. Tequila and sage oil are massaged onto your body and warm compresses are used to wash it away. It helps circulation and sooths aching muscles. 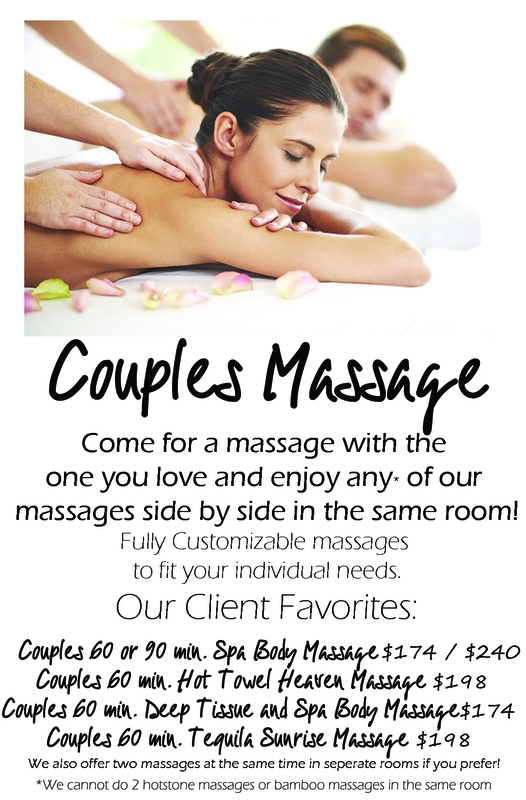 Come enjoy a massage that awakens and stimulates your senses!. Bamboo massage is an ancient Chinese art. Using heated bamboo, the massage therapist rolls and kneads muscle tissue to create an extreme sense of relaxation and well-being, individually designed just for you! Experience total relaxation. Your face, hands and feet begin wrapped in steamed towels infused with jojoba oil. The soothing effects of heated rolled towels support your neck in total comfort. Your service continues with a rhythmic and relaxing Spa Body Massage. Designed specifically for expectant moms. Skilled hands and pain relieving therapy combine with precise positioning and soft pillows. Customized to each mother-to-be and adapted to any state of pregnancy. Indulge in this luxurious chocolate massage as the aroma fills your senses. Hydrotherapy married with massage. Your therapist kneads your neck, back and shoulders while six Vichy shower heads relax your body with warm streams of rain. 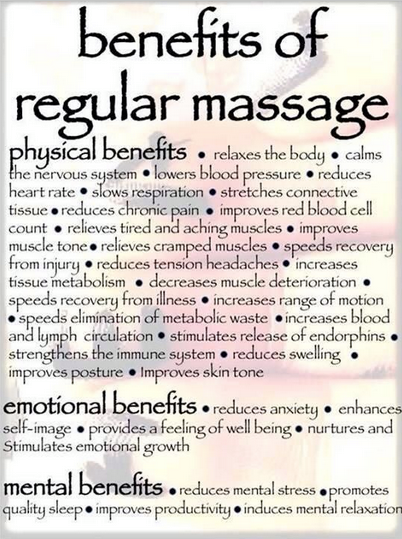 Your service continues with a full 60 or 90 minute Deep Tissue Massage. Double your relaxation as two therapists work in sync to release stress and tension. Movements rhythmically mirror each other to multiply the benefits of this delightful massage. Combines the benefits of our Aroma Steam Treatment & Aromatherapy Massage in one! Relieve aching feet. Each foot is wonderfully warmed with steamed towels and skillfully stretched. Pressure is applied to specific points to relax and re-energize you and your feet. Quick seated tension relief for necks, shoulders and backs. Relieves stress in high tension areas and promotes a renewed sense of energy, well-being and vitality.